She couldn’t imagine a future without a pack… could she? Is that little except not like–everything?! I am new to this series, having only had a chance to read Huntsmen, but gosh did I love every intense second of it. This book has a great balance of pace to it and I enjoyed the way the author keeps us with Kiara throughout the book. It made the suspense and action scenes more surprising. Despite the seriousness of the sudden appearance of the Huntsmen the author gives us a nice balance of romance, steamy loving, funny and relaxed scenes thrown into the mix. As The intense, at times timid and always on the alert Kiara is forced to revisit her past and still lingering feelings and attraction to Ryn. It’s clear that Ryn’s laid back, tough and effortlessly suave personality and demeanor is the only that can penetrate Kiara’s armor. Her cousin, Jamie and her brother, Cole are a great support system and the importance of her pack, the GNAAW rules and her family ring true but in the Huntsmen the reader gets to see that Kiara’s character isn’t as narrowly minded or rigid as she seems on the surface. Especially when it comes to the one person that rattles her down to her core. Today I’m joined by Michelle Osgood, author of Huntsmen. Hi Michelle, and thanks! Could you tell us a little about yourself, your background, and your current book? Hi! Thank you for having me. I’m a queer romance writer from Vancouver, BC. My first novel, The Better to Kiss You With, was a F/F paranormal romance published by Interlude Press in 2016. 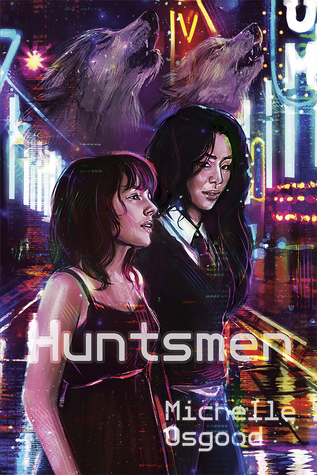 Huntsmen, the next book in the series, is a F/NB romance with a bit more of an urban fantasy feel, and follows Kiara, the Alpha-designate of her werewolf pack as she’s forced into hiding with her genderqueer ex-lover, Ryn. Book 3 will focus on Nathan and Cole, who we’ve seen in both The Better to Kiss You With and Huntsmen. I am really looking forward to getting to know these two characters better, and to get to play with the chemistry I have built between them. This will be my first time attempting dual POVs, so wish me luck! 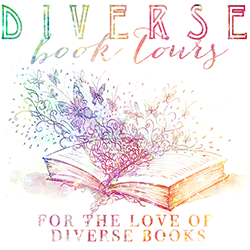 Book 4 brings us back to Jamie and Deanna – and Arthur! Echoing The Better to Kiss You With, technology will play an important role in this story. Book 4 will be the last one in the series, and I’m both dreading and anticipating the end. It will be hard to say goodbye to this ‘pack’ of characters after so many years together. The great thing about being able to write a series though, is that I have been able to stick with them for as long as I have! One of my favourite things about being able to write sequels is the ability to play around with the characters and the dynamics between them – if I wonder what a scene between Cole and Deanna would look like, I get to write it! It’s so fun to play characters and relationships off each other, and some of my favorite scenes in my books so far are between characters I haven’t brought together before. Huntsmen is available from Interlude Press on April 13, 2017. Connect with author Michelle Osgood at michelleosgood.com; on Twitter @OsgoodMichelle; and on Facebook at facebook.com/osgoodmichelle. CHECK OUT: The direct Giveaway link here. 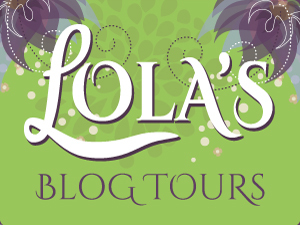 Thanks so much for stopping by and reading up on Huntsmen by Michelle Osgood. 🙂 Be sure to check out the book and the series today!